Finally, a Trusted Resource for Your Solar Campaign! EnergySage hosts the largest amount of objective solar educational resources available today. The marketplace was developed with the support of the US Department of Energy; and EnergySage is owned, in part, by the Massachusetts Clean Energy Center, a quasi-government agency that manages municipal solar programs in Massachusetts. Because EnergySage does not favor a particular installer, solar technology or financing product, its educational resources are unbiased and simply focused on being comprehensive and consumer-friendly. It is a resource you – and your residents – can trust! Because EnergySage is a trusted solution, municipalities throughout the country have used the Marketplace as a platform for offering solar campaigns to residents. In addition to all of the great features for consumers, EnergySage offers program marketing materials and reporting tools that help municipal programs effectively reach their residents and to easily track and manage campaigns without having to chase installers for answers. Solar programs with EnergySage have some of the highest engagement in the industry! EnergySage is simplifying the going solar process. Watch below for more info. EnergySage offers a range of services for residents. Vendor-neutral online comparision-shopping marketplace with live Solar Advisor support. Immediate estimate of a property's specific solar potential, including solar economics. The most comprehensive, objective solar educational articles and videos available on the web. Track your program easily with real-time online reports. 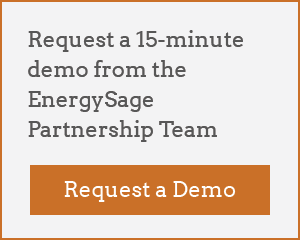 EnergySage is the partner of choice for leading organizations. View our partner overview PDF for more detail about how EnergySage partnerships work.